An Exclusive and Luxurious Cruise along the Irrawaddy River in Myanmar. Experience this Magical Destination in Style. The luxurious Strand Cruise takes you on a lavish journey down the historical Irrawaddy River with breathtaking views of Myanmar and its beautiful scenic heritage. 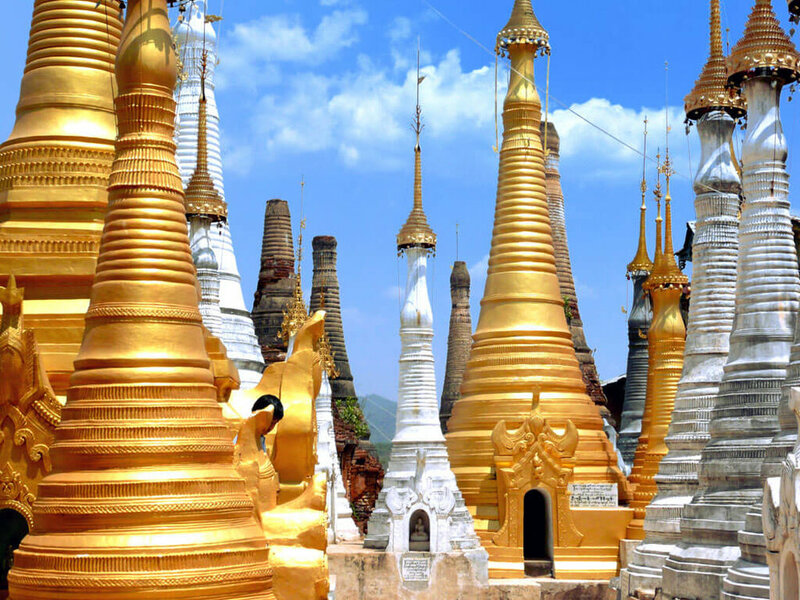 Cruise itineraries include 4 nights from Bagan to Mandalay and 3 nights from Mandalay to Bagan. With its sister property being the refined Strand Hotel, it is no surprise this latest embodiment of the Strand legacy offers the same range of activities to indulge in. Rainforest Cruises believes The Strand Cruise is a fantastic option for your Myanmar tour. The Strand's team and private concierge dedicate themselves to ensure all travelers have the most memorable experience from the very first moment. The Strand cruise is a reinvention of the legendary style and unique personality of The Strand Hotel within a contemporary river cruise experience. Inaugurating in early 2016, the cruise is proud of its exceptional standards of comfort, discreet personalized service, and design touches that combine traditional exploring with the latest technology, such as individually controlled air conditioning and satellite WI-FI throughout the ship. Your experience onboard the ship will be just as memorable as your experience exploring the country. Clear your mind with a rejuvenating massage, or relax by the swimming pool. Enjoy the magnificent sunset from the upper deck while a sommelier delights you with a wide variety of wines. For dinner, let the Chef take you on a journey through refined cuisine. When the night is over, retreat to your comfortable cabin and sleep soundly on the waves of the river. 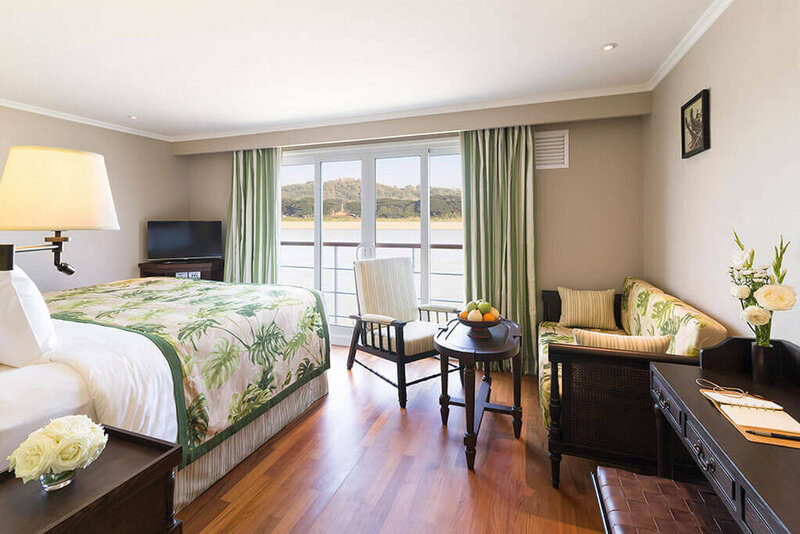 A cruise on the Irrawaddy River would not be complete without an exquisite yet comfortable cabin. 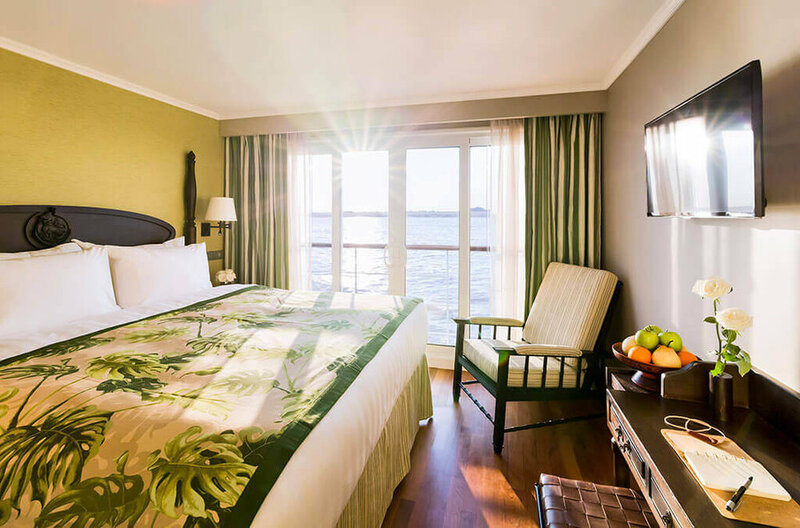 Like many riverboats offered by Rainforest Cruises, The Strand’s cabins are built for your enjoyment and well-being. Tastefully decorated with Burmese craftsmanship and Teakwood floors, guests will have floor-to-ceiling windows, en-suite bathrooms, complimentary Wi-Fi, international TV channels and 24h butler service. Whether you choose to read a book out in the open on sun shaded lounges, or if you prefer to mingle while sipping a cocktail of your choice, The Upper Deck is the heart of the cruise. Where landscapes can be enjoyed while indulging yourself in relaxing activities. 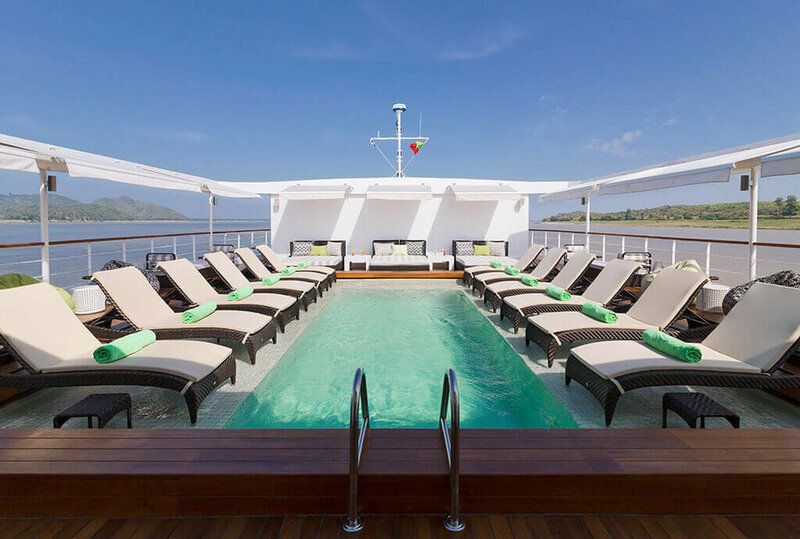 Spend your leisure time onboard swimming in the custom-made swimming pool while enjoying the passing-by Burmese scenery. A favorite activity onboard is spending an afternoon in the spa. Single and couple massages are available by experienced masseuses with premium products. There is also a foot reflexology station onboard that will leave you ready to take on a new day of exploration and discoveries. For those looking to continue their workouts while on vacation, the fitness room can be found below the main deck, complete with treadmills, weights and other gym equipment. Everything needed for an invigorating workout. Arguably, the best part of a luxury cruise is the food. Aboard The Strand Cruise, internationally renowned chefs offer our guests a sinfully delightful take on international and Asian cuisines. Let the chefs tempt and surprise you with wine tastings, BBQ’S on the upper deck or even just a memorable evening between friends and family. The Strand offers nothing less than the freshest and finest ingredients, all arranged by a crew dedicated to fulfilling your every dining pleasure. Celebrations often go hand in hand with dining, whether it is a birthday, an anniversary or just the celebration of being with family and loved ones in a picturesque surrounding. The Strand Cruise will be more than delighted to help you organize and take care of each event. From a personalized menu to the perfect spot on board, the cruise will make any event unforgettable.